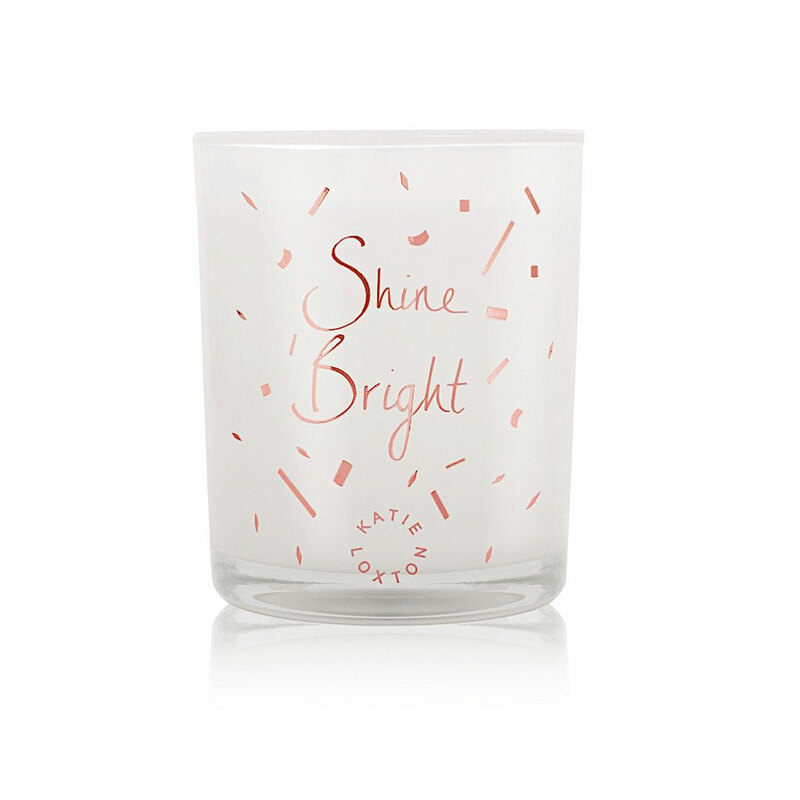 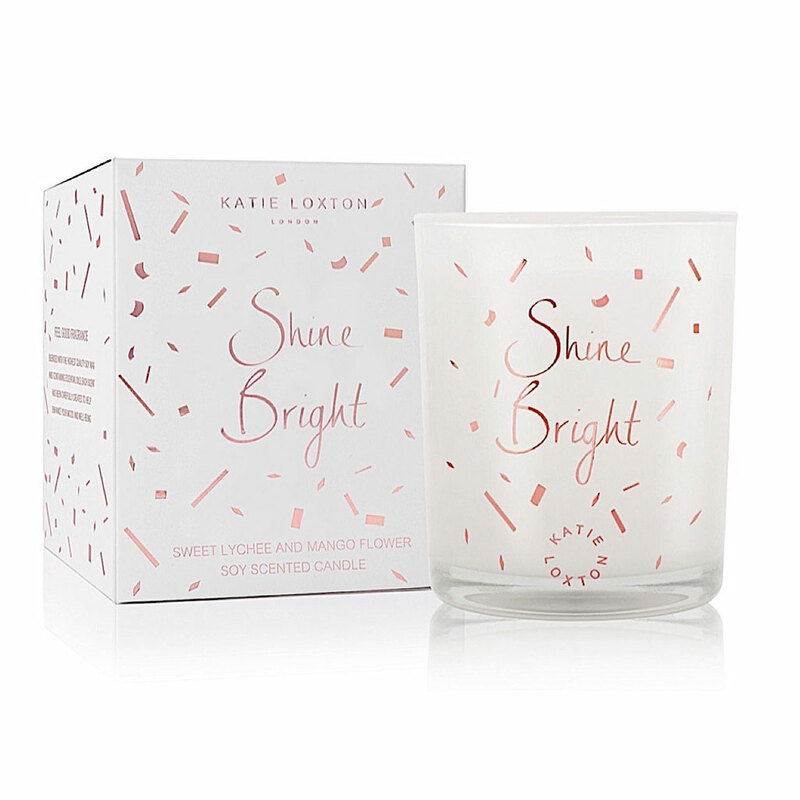 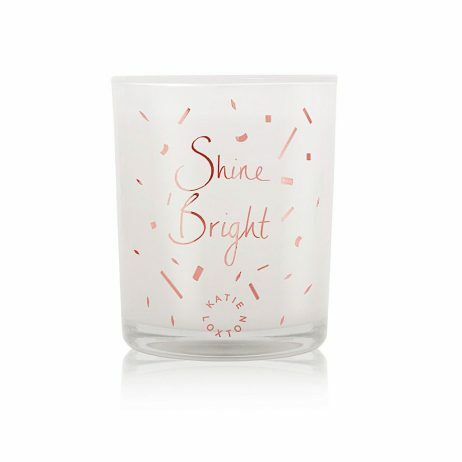 Crafted from the highest quality essential oils and soya wax with the fruity fragrance of Beach Rose and Sweet Pea in a sleek glass jar with the sentiment “Shine Bright”. 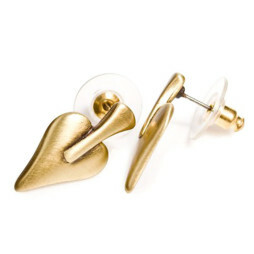 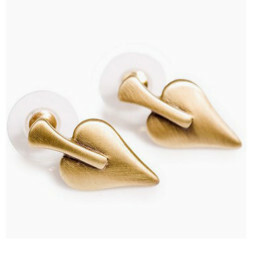 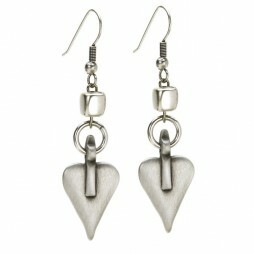 About Katie Loxton: Katie Loxton accessories bring affordable luxury to life. 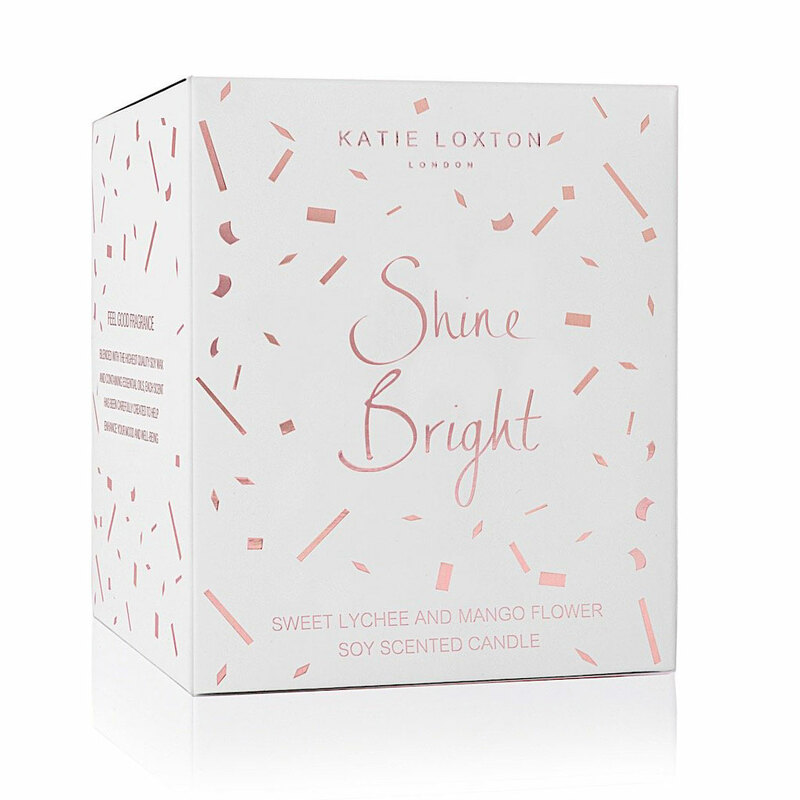 Growing her collection from exquisite scented candles, Katie Loxton is thrilled to introduce her début collection of tote hand bags, classic cross body bags and make up bags. 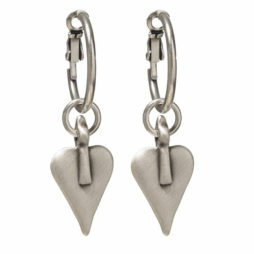 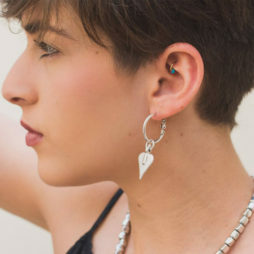 A beautiful new collection of sentiment key rings have added a little charm and fun and are gorgeous playful additions to our handbags.